I am so close to finishing this first draft!!! Today I spent the day at the Seattle Public Library pounding out another 4,000 words. I stopped in the middle of the final epic battle scene. It seems like I have been on the cusp of this scene for weeks! It’s always when I think I am near the end that I actually have about 15,000 more words to go. Tonight I am going to go see the Rat City Roller Girls! So excited! 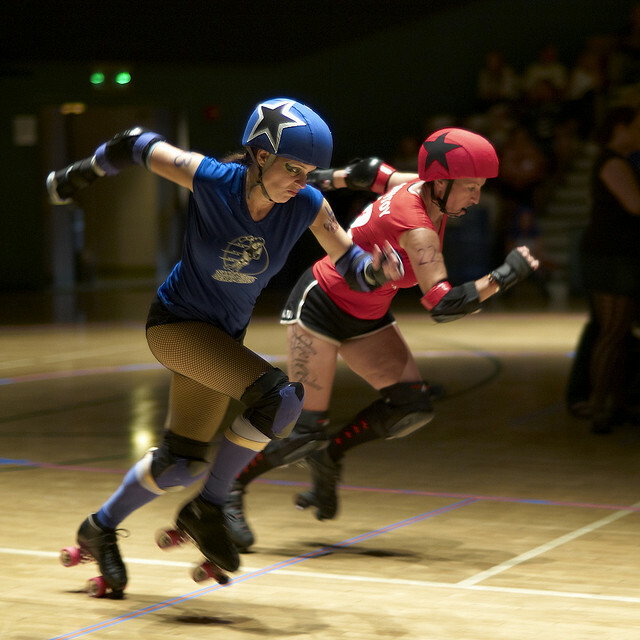 I have never seen roller derby before, but I think these gals are brave to go out there and knock each other down. They definitely have moxie. This entry was posted in On Writing and tagged fae, Fae Warrior, fantasy, fantasy romance, indie author, indie writer, On Writing, paranormal romance, Romance, writer, writing. Bookmark the permalink.